This product replaces the older Symbol LS9208i. Dimensions 5.512 x 3.232 x 3.150 in. Image Capture Yes, JPEG, TIFF, Bitmap. 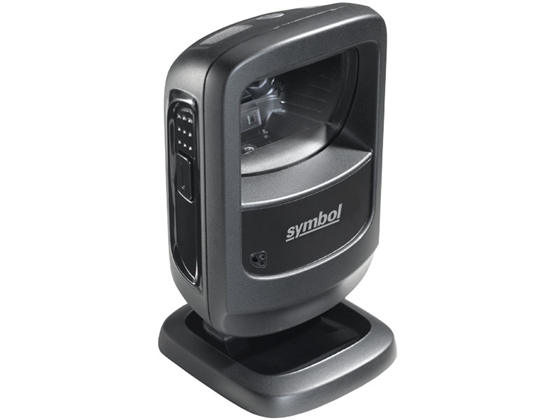 The DS9208 omni directional scanner can read 1D and 2D barcodes from cellphone screens, switch between hands-free and pick-list modes with a single click, and fits in virtually any retail environment. It takes advantage of popular mobile technology to engage customers and make checkout more convenient. Find it faster! Click here to compare DS9208 models by feature. 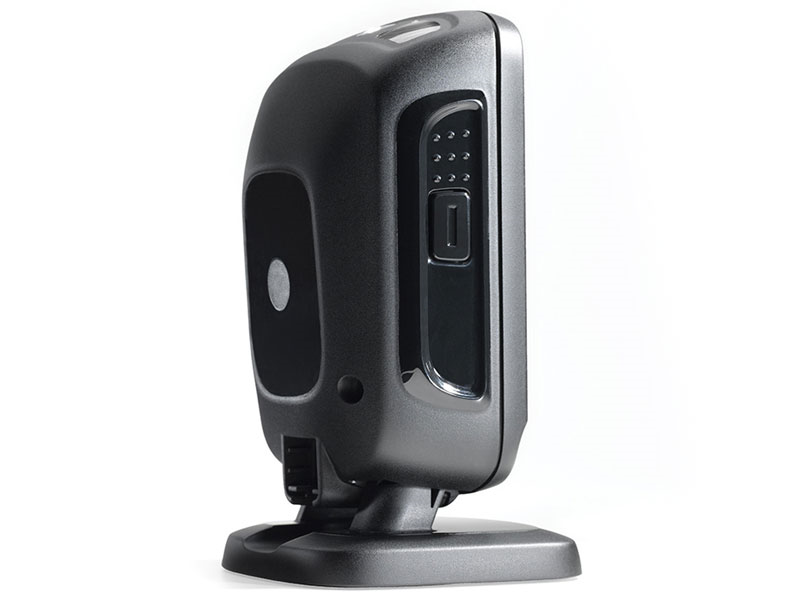 Hi, this is Camille with POSGuys.com Today we're reviewing the Motorola DS9208 omni-directional hands-free presentation imager. 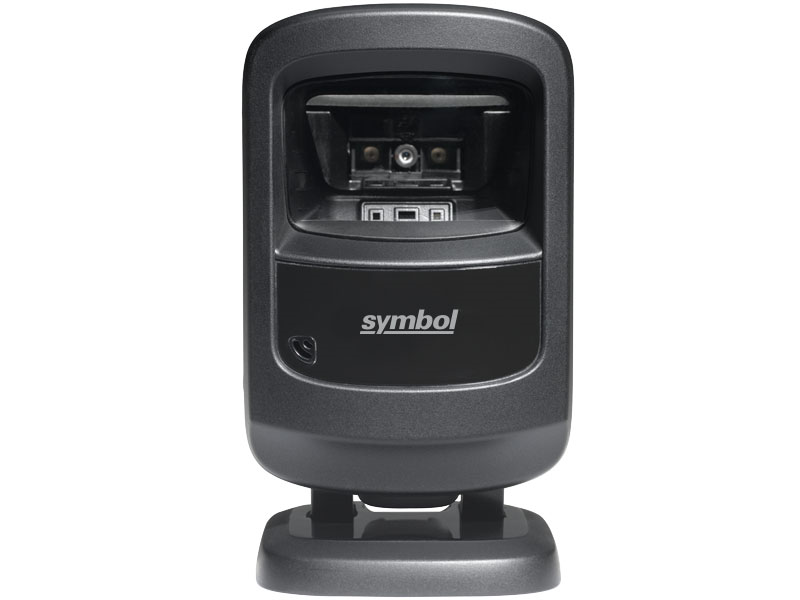 This is the upgrade to the LS9208, and it has some improved features which include not only the ability to read 1D barcodes, but also the ability to read 2D barcodes, and to be able to read off cell phones. Some improvements on the new model are that instead of scanning with a grid of lines, it scans with a field of light, so you can then take a picture of the barcode from any angle. It also has a pick-less mode, where you can pick it up, hit the button, and the target will change to a dot. So you can scan off a list, and then you just click the button and it'll scan it. Set it back down, and it'll just reset to hands-free mode. It also works really well in bright light. [beep] It scans just as easily. It supports all the standard interfaces including USB, and when you have a USB cable you do not need an external power supply. You can use the DS9208 to extend your customer loyalty program, and as an example I'm going to show you how to enter a customer into your system. So I'm gonna go into CRE and get a new customer by adding them. So you just come and scan the barcode on your loyalty card. Come back into your program and fill out your necessary information, John Doe. Save it into your system, and then exit out of there. So one of the things that makes this more convenient for your customers is that they can scan the barcode, and store it on their phone. And then when they come back in, even if they don't have the card, they can still scan the barcode. For example, we're gonna find that customer, John Doe. 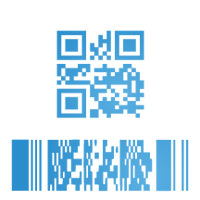 So we go into quick find, then I come back down, go to my cell phone to find that picutre of the barcode. And then just scan it back into the system, and as you can see, John Doe is now logged in and his information is down here, and he didn't even have his card on him.